Master of Engineering, University of Mining and Metallurgy in Kraków (AGH) (1980); Post-graduate study in journalism at the Academy of Social Sciences - Centre for Education of the Foreign Service (1989). Assistant at the Electronics Institute of AGH (1980-1982), traineeship with the GAS & Fuel Corporation of Victoria, Australia (1981-1982). Editor-in-chief of the bi-monthly 'Student' (1985-1987), weekly 'ITD' (1987-1990) and the daily 'Trybuna' (1990-1991). Member of Parliament of the Polish Republic (1991-1997). Spokesman for the Democratic Left Alliance (SLD) Parliamentary Party (1993). Member of the National Council for Radio and Television (1993-1996). Member of the Parliamentary Assembly of the Council of Europe (1993-1996); Secretary of State at the Chancellery of the President of the Republic of Poland (1996-2004). Chief of the National Security Office. 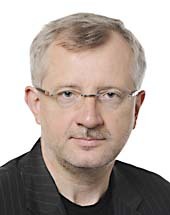 Vice-Chairman of the Consultative Committee of the Presidents of Poland and Ukraine (1997-2004). Secretary of the National Security Council (2000-2004) head of the Polish Association of Friends of the Peres Centre for Peace. Chairman of the Supervisory Board of the Foundation to Counter Terrorism and Biological Threats. Member of the National Administration of the SLD. Head of the national delegation to the PSE in the EP. National Order of Merit (2000, F); Ubique Patriae Memor (2002, BR); Grand Cross of the Order of Merit (2003, LT); Virtutea Militara (2003, RO); Royal Victorian Order (2004, GB); Order of Prince Yaroslav the Wise, 4th and 3rd Class (1997, 2004, UA). 1. Member States may not maintain or introduce, in their national laws, provisions diverging from those laid down in this Directive, including more or less stringent provisions to ensure a different level of as long as they guarantee a higher degree of consumer protection. 1a. The rights resulting from this Directive shall be exercised without prejudice to the provisions of another Community act governing consumer protection. (4) However, under the current measures regarding the security of gas supply that have been taken at Community level, Member States still enjoy a large margin of discretion as to the choice of measures. Where the security of supply of a Member State is threatened, there is a clear risk that measures developed unilaterally by that Member State may jeopardise the proper functioning of the internal gas market and the security of the protected and vulnerable customer. Recent experience has demonstrated the reality of that risk. To allow the internal gas market to function even in the face of a shortage of supply, it is therefore necessary to provide for a more coordinatedsolidarity and coordination in the response to supply criseis, both concerning preventive action and the reaction to concrete disruptions of supply. (13) Following the adoption of the third internal energy market package, new provisions will apply to the gas sector, creating clear roles and responsibilities for Member States, regulators, transmission system operators and ACER, as well as improving the transparency of the market for the benefit of its well-functioning and, the security of supply and the protection of customers. (14) The completion of the internal gas market and effective competition within that market offer the Community the highest level of security of supply for all Member States, provided that the market is allowed to work fully in case of disruption of supply affecting a part of the Community, whatever the cause of the disruption. To this end, a comprehensive and effective common approach to security of supply is required, particularly through transparentcy, solidarity and non- discriminatory policies compatible with the requirements of the market, avoiding market distortions and undermining of market responses to disruptions. (16) Sufficiently harmonised security of supply standards covering at least the situation that occurred in January 2009, taking into account the difference between Member States, should be defined, taking into account the Public Service Obligations and customer protection (such as are referred to in Article 3 of Directive 2009/73/EC of the European Parliament and of the Council of 13 July 2009 concerning common rules for the internal market in natural gas1) without imposing unreasonable and disproportionate burdens on natural gas undertakings including new entrants and small undertakings. _____ 1 OJ L 211, 14.8.2009, p. 94. (18) It is important that gas supply is maintained and provided by the Member State, particularly as regards household customers, as well as other protected customers such as schools and hospitalvulnerable customers, and protected customers, in cases in which the market cannot continue to supply them. It is essential that the measures to be taken during a crisis especially concerning Public Service Obligations, customer protection, price management and compensation are defined in advance of any crisis. Security of gas supply is a task of the natural gas undertakings, Competent Authorities of the Member States, the industrial gas customers, and the Commission within their respective areas of responsibility. It requires a high degree of cooperation and solidarity between them. (d) information on the relevant Public Service Obligations and customer protection (such as are referred to in Article 3 of Directive 2009/73/EC) including measures of the Member State protecting customers from excessive price increases. 1. The Commission may declare a Community Emergency at the request of one Competent Authority or when the Community loses more than 10% of its daily gas import from third countries as calculated by ENTSO-G. It shall declare a Community Emergency where more thanat least one Competent Authority has declared Emergency following the verification in accordance with Article 9(6). It may declare a Community Emergency for specifically affected geographical regions comprising more thanat least one Member State. The Committee on Foreign Affairs calls on the Committee on International Trade, as the committee responsible, to draw up an interim report under Rule 81(3)propose that Parliament give its consent. 6. All appoinRecruitments in the EEAS shall be based on merit and on the broadest possible geographical basiswhilst ensuring adequate geographical and gender balance. The staff of the EEAS shall comprise a meaningfuln adequate presence of nationals from all the Member States. Concrete measures analogous to the Council regulation 401/2004 should be taken to ensure adequate geographical representativity in all grades within the EEAS, both in Headquarters and in Delegations. These measures should apply to nationals from under-represented Member States. - having regard to Monti report, “A new Strategy for the single market,” published on 9 May 2010. (17a) Democracy and human rights have been put on the forefront of the Union's relations with the partner countries and, to this end, new structures, such as the European Endowment for Democracy, are being established to support civil society and promote political dialogue. (8a) Democracy and human rights has been put on the forefront of the European Union relations with the partner countries, and to this end new structures, such as the European Endowment for Democracy, are being established to inter alia equip civil society with necessary capacities to politically resolve conflict situations by means of mediation and dialogue. (ca) under the ENI, under the IfS and under the PI, grants to the European Endowment for Democracy. 3. Member States shall recognise evidence of formal qualifications in nursing awarded in Poland, to nurses who completed training before 1 May 2004, which did not comply with the minimum training requirements laid down in Article 31, attested by the diploma “'bachelor”' which has been obtained on the basis of a special upgrading programme contained in Article 11 of the Act of 20 April 2004 on the amendment of the Act on professions of nurse and midwife and on some other legal acts (Official Journal of the Republic of Poland of 30 April 2004 No 92, pos. 885), and the Regulation of the Minister of Health of 12 April 2010 amending1 May 2004 on the detailed conditions of delivering studies for nurses and midwives, who hold a certificate of secondary school (final examination — matura) and are graduates of medical lyceum and medical vocational schools teaching in a profession of a nurse and a midwife (Official Journal of the Republic of Poland of 13 May 2004 No 110, pos. 1170, with further amendments), replaced by Article 55.2 of the Act of 15 July 2011 on professions of nurse and midwife (Official Journal of the Republic of Poland of 23 August 2011 No 174, pos. 1039), and the Regulation of the Minister of Health of 11 May4 June 200412 on the detailed conditions of delivering studihigher education courses for nurses and midwives, who hold a certificate of secondary school (final examination -– matura) and are graduates of a medical lyceum and medical vocationalsecondary school or a post- secondary schools teaching in a profession of a nurse and a midwife (Official Journal of the Republic of Poland of 21 April 2010, No 656 July 2012, pos. 42770), with the aim of verifying that the person concerned has a level of knowledge and competence comparable to that of nurses holding the qualifications which, in the case of Poland, are defined in Annex V, point 5.2.2. of Annex V.
(29b) the Article 43 paragraph 4 should be amended as follows: Member States shall recognise evidence of formal qualifications in midwifery awarded in Poland, to midwives who completed training before 1 May 2004, which did not comply with the minimum training requirements laid down in Article 40, attested by the diploma 'bachelor' which has been obtained on the basis of a special upgrading programme contained in Article 11 of the Act of 20 April 2004 on the amendment of the Act on professions of nurse and midwife and on some other legal acts (Official Journal of the Republic of Poland of 30 April 2004 No 92, pos. 885), and the Regulation of the Minister of Health of 11 May 2004 on the detailed conditions of delivering studies for nurses and midwives, who hold a certificate of secondary school (final examination — matura) and are graduates of medical lyceum and medical vocational schools teaching in a profession of a nurse and a midwife (Official Journal of the Republic of Poland of 13 May 2004 No 110, pos. 1170, with further amendments), replaced by Article 55.2 of the Act of 15 July 2011 on professions of nurse and midwife (Official Journal of the Republic of Poland of 23 August 2011 No 174, pos. 1039), and the Regulation of the Minister of Health of 14 June 2012 on the detailed conditions of delivering higher education courses for nurses and midwives who hold a certificate of secondary school (final examination – matura) and are graduates of a medical secondary school or a post- secondary school teaching in a profession of a nurse and a midwife (Official Journal of the Republic of Poland of 6 July 2012, pos. 770), with the aim of verifying that the person concerned has a level of knowledge and competence comparable to that of midwives holding the qualifications which, in the case of Poland, are defined in Annex V, point 5.5.2. (10a) It is appropriate to exclude procurement made for postal services and other services than postal services as that sector has consistently been found to be subject to such competitive pressure that the procurement discipline brought about by the EU procurement rules is no longer needed. (16) In order to ensure the correct application of, and to monitor compliance with, the substantive rules on the terms and conditions of employment to be respected with regard to posted workers, Member States should apply only certainsuch control measures or administrative formalities to undertakings posting workers for the provision of services. Such control measures or administrative formalities should be proportionate and not entail unjustified, excessive administrative burdens. Such measures and requirements may only be imposed provided that the competent authorities cannot carry out their supervisory task effectively without the requested information and the necessary information cannot be obtained easily from the employer of posted workers or the authorities in the Member State of establishment of the service provider within a reasonable delay and/or less restrictive measures would not ensure that the objectives of the national controls measures deemed necessary are attained. (18) To ensure better and more uniform application of Directive 96/71/EC as well as its enforcement in practice, and to reduce, as far as possible, differences in the level of application and enforcement across the Union, Member States should ensure that effective and, adequate, proportionate and non-discriminatory inspections are carried out on their territory and that inspected undertakings are provided with information in writing on the result of the inspection. (19) National labour inspectorates, social partners and other monitoring bodauthorities are of paramount importance in this respect and should continue to play a crucial role. The assessment of these elements shall be adapted to each specific case and take account of the nature of the activities and/or period of time in which these activities were carried out by the undertaking in the Member State in which it is established. 4 a. During the period of posting a worker to another Member State, the inspection of the working conditions to be complied with according to Directive 96/71/EC lies within responsibility of the authorities of the host Member State in cooperation with the Member State of establishment. 1 a. Member States shall impose the necessary administrative requirements and control measures mentioned in paragraph 1 in a non-discriminatory, justified and proportionate manner. At the end of each inspection, the competent authority shall provide a document which includes at least the name and address of the inspected undertaking, data identifying the competent authority, the days in which the inspection was carried out, the legal ground for the control measure applied, a justification on necessity and proportionality, upon request of the undertaking inspected - information that there are matters covered by trade secrets, a description of fraud identified or information that no fraud was identified, as well as any other relevant information. The inspected undertaking has the right to submit remarks with regard to the findings included in the document. The inspected undertaking receives a copy of the document. 4a. During the period of posting a worker to another Member State the inspection of the working conditions to be complied with according to Directive 96/71/EC lies within responsibility of the authorities of the host Member State in cooperation with the Member State of establishment. 1a. Member States shall impose the necessary administrative requirements and control measures mentioned in paragraph 1 in a non-discriminatory, justified and proportionate manner. At the end of each inspection the competent authority shall provide a document which includes at least the name and address of the inspected undertaking, data identifying the competent authority, the days in which the inspection was carried out, the legal ground for the control measure applied, a justification on necessity and proportionality, upon request of the undertaking inspected - information that there are matters covered by trade secrets, a description of fraud identified or information that no fraud was identified, as well as any other relevant information. The inspected undertaking has the right to submit remarks with regard to the findings included in the document. The inspected undertaking receives a copy of the document. 34a. Asks Member States not to use the exception of public order as a restrictive measure to limit civil society organisations' fundamental rights of assembly and demonstration and recalls that such an exception ought to be motivated and proportional. 41. Instructs its President to forward this resolution to the Council, the Commission, the High Representative of the Union for Foreign Affairs and Security Policy/Vice President of the Commission, and the EEAS.